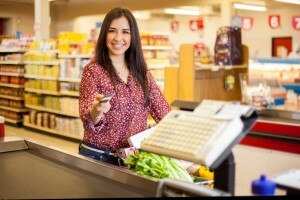 The consumer goods market is developing at a faster rate of change than ever. Consumers are demanding more choice than ever, with social media platforms such as Facebook and Instagram broadening communication and accelerating change. Regardless of the product and development team behind it, stepping into new innovative spaces is a challenge for any brand. Many strong brands have struggled to diversify their portfolios with the Museum of Failure in Sweden happy to showcase development mistakes from which all budding developers can learn. Crucially, making a great product, simply isn’t good enough these days, without bringing the consumer along the journey with a clear brand identity and meaning. Broadening a brands portfolio doesn’t mean forgetting or even diluting what the brand stands for. Therefore, delivering the brand meaning for consumers is key. Communicating these equities and conceptual cues is essential throughout the usage journey, with product attributes (including these new sensations), pack designs and formats, messaging and claims all playing a role in both implicit and explicit brand cues (http://www.mmr-research.com/insights/sensory-is-implicit). Ensuring all key touchpoints of pack and product experience align with the conceptual associations of the brand provides a strong and coherent message to consumers, allowing the brand to shine through even in a new category, shelf or even store. Developers, marketers and insights need to work together, particularly in this challenging fast-paced innovative world of consumer goods, to deliver new offerings with strong and consistent messages which consumers can both consciously and subconsciously navigate, and bring the strength of the brand along the innovation journey into a new food type, category and marketplace. Is brand loyalty stifling innovation? This weekend, I ended up in a heated debate with my future Father-in-law. We were talking about the recent sugar tax proposal in the UK budget with my Father-in-law arguing that the strongest soft drinks manufacturers should replace their full sugar versions with diet varieties and lead the way for smaller brands to follow. He explained these were the companies able to make a difference and they should stand up to be counted. I respect him for his idealism, and agree to some extent that innovation should be driven by the market leaders, which is mostly the case in product development. However, the rise of smaller product manufacturers and start-ups has disrupted the status-quo of the fast moving consumer goods (FMCG) market with innovation arising from some of the most unexpected places. This got me thinking, brands crave consumer loyalty, for their customers to love their products and what their brand and message stands for, this leads not only to repeat purchase, but also to consumers feeling they own the product, the brand and become fully invested. Whilst this sounds like an ideal situation, what is the price of consumer this loyalty? What room does this leave for product innovation? The sugar tax is a prime example… external pressures are forcing soft drinks manufacturers and brands to reformulate and innovate, but changing products can risk consumers noticing differences, feeling betrayed by their favourite brands and losing the all important consumer loyalty. This wouldn’t be such an issue for smaller brands with less strong customer associations, and they could even bring them on side with changes and product developments. For large brands however, this could lead to weakening of brand, lack of consumer trust and eventually big revenue losses. How can they do both? Crucially, when innovating, large brands need to remember what they stand for even more strongly than ever. This provides clear guidance for what a new product needs to achieve and deliver in terms of emotional and conceptual associations for consumers. Throughout the process, continuously question ‘Does this fit my brand?’. A fantastic new product may be wonderful, but if it doesn’t align with the key equities and brand message, developers and marketers will have a fight on their hands to gain consumer understanding and trust. If the answer throughout the new development process from both key stakeholders and target consumers is ‘Yes, this fits with the brand’ a real chance lies ahead, which combined with the right communication can bring consumers along the same journey of development and discovery. Aligning the sensory characteristics, the consumer emotional and functional conceptualisations as well as the key brand equities, can allow truly innovative product development to not only to succeed, but shine through in the busiest marketplace ever. Whilst the pressures of government and consumers will continuously shift and change, the driving force behind brand related innovation must be simple and never forget to connect these key touch points. I doubt my future Father in law realises the level of careful development and reformulation required for new product development, however, he certainly isn’t wrong to lay some of the foundations of product innovation at the door of major global brands. Let’s just hope they are ready for it! The launch of the latest UK budget has firmly put sugar in the firing line. George Osborne has announced a tax on large manufacturers of sugar-sweetened soft drinks they produce or import. 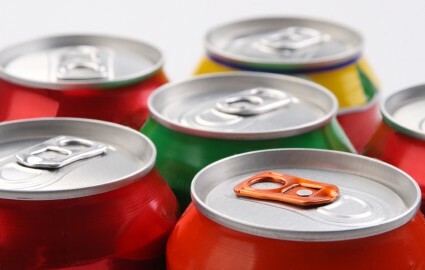 Sugar-sweetened soft drinks will be taxed in two distinct bands, those with a total sugar content above 5% (5g per 100ml) and a higher band for those with 8% added sugar. Details and definitions of what is considered ‘sugar’ are still unclear, but ‘pure’ fruit juices and milk based drinks will be excluded. Also small scale manufacturers will not have to pay this levy, which will be placed onto manufacturers directly in two years time. Will this additional charge be passed on to consumers? We’ll have to wait and see! The classification of sugar in the budget will need further clarity. Assuming ‘sugar’ is added sucrose, what about other sweetening agents? Fructose? Glucose? Corn Syrups? What are classified as ‘pure’ fruit juices? How will sugars in these products be measured? There are more questions than answers at this early stage, and with consultation in the summer we’ll be watching closely to find out more! Natural, is it all in the name? A colleague at work recently asked me to comment on the role of colour on consumer perceptions of natural for her own blog article. This got me thinking, natural is a buzz word for consumers these days. Natural is everywhere! Gone are the days of ‘No additives’ or ‘Nothing artificial’ to dialing up all things natural with taglines like ‘Nature’s best’. But what is ‘natural’? Well at the moment, anything can be! Consumer preferences towards healthier products have driven this trend in ‘natural’ products, with no legislative or governing bodies fast enough to keep up! As a result there is no clear definition or regulation of the term natural. Therefore product developers have been learning through testing out the ideal ‘natural’ product, and sensory cues are key to delivering this. For a product to be considered natural, all sensory attributes must associate to the product ingredients, marking the ideal for consumers. Visual cues of natural are most key, with less bright and vibrant pack colours (direct cues with green packaging has worked for some products), and an equally muted product inside. Visible, recognisable ingredients, each providing a variety of colour shades, irregular shapes and combinations all help cue natural for wide range of products. Achieving an overall natural appearance is a fine balance between consistent portion size and execution (so consumers get the same product each time), with some variety and irregularly to reduce processed and mass-produced associations. Natural aromas and flavours can also be slightly muted (aroma more than flavour) but must align with the ingredients. Take a flavoured yoghurt for example, natural aroma cues can be delivered by both notes of the over-arching strawberry flavour, but also the dairy milk base to give recognisable associations to consumers. Crucially, if a product has a wide range of ingredients, e.g. a mixed fruit juice or cereal bar, consumers need to be able to taste the different flavours. This is particularly key if there are bits of fruit, chocolates etc. as this indicates that nothing is hidden in the products, enhancing natural cues. Textures are also key across food, drink and particularly in personal care categories. Although relating the texture to ingredients is important, it is considered more of a hygiene factor by consumers, allowing slightly more wiggle room for product developers. However, in personal care, smooth non-oily textures can achieve natural as long as the other touch points of pack and neutral pale colours align. This highlights how appearance is king for a ‘natural’ product execution with all attributes of the product delivering to this message. Whilst the sensory cues are clear, the natural message isn’t. Manufacturers and marketeers do not need to jump through hoops to make natural claims, which could broaden the scope of the meaning, even beyond consumer acceptance. As the debate ‘naturally’ heats up, product development companies need to take care their natural cues have a direct basis for consumers (e.g. organic, no additives etc. ), as I predict very soon proof will be needed to explain the natural claim. They need to keep track of developments in consumer perceptions and legislation of the term natural. I too will be watching closely! When making a cup of tea at work, my colleague Rosie and I were chatting about our most loved and hated foods. Interestingly the herb Cilantro (known as Coriander to the Brits) came up very quickly and she told me there was some sort of genetic reason behind some people really hating it. This made me want to understand more. After a bit of digging into research articles, I found that Rosie was spot on! A study in 2012 which looked at twins, found that 80% of identical twins shared their like or dislike or cilantro, whilst only 50% of familial twins shared this connection. This suggested there is a genetic component involved which another study investigated in more detail. 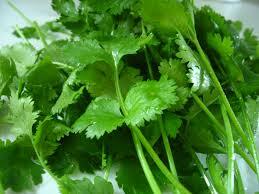 This further study, published in Flavour journal in 2012, found a proportion of the population detects a soapy flavour in cilantro, which is linked to their genes. Everyone has a sequence of DNA (single nucleotide polymorphism) called rs72921001, which lies among our odour receptor genes. This DNA sequence can vary between people and depending on whether the sequence, known as a genotype, is AA, AG or GG, can determine an individual’s sensitivity to the soapy note. The location of this DNA sequence in the genome can be near a particular gene, OR6A2, which codes for an odour receptor which is highly specialised to binds to specific aldehyde molecules, which can be found in both cilantro and soap. Since odour sensitivity directly relates to flavour perception, detecting these aldehyde aroma compounds impacts the flavour of cilantro, leading to some people describing it as soapy. Although the proportion of the population detecting the soapy note in cilantro can vary between 4 and 14% depending on ethnicity and other genetic factors, the study found that these genes can influence the liking of this particular herb. So next time you’re sitting down for a meal full of coriander and someone complains it tastes like soap, it isn’t their fault, it’s all in the genes! Jamie’s Sugar Rush – Not a rushed response? So it’s been a few weeks since Jamie’s launched his battle against sugar , and I’ve been waiting to hear the response and reaction from consumers, manufacturers, legislators, and frankly anyone! Interestingly, even though everyone is talking about in sugars in our foods and drinks, it hasn’t really been the storm I was expecting. This got me thinking, whilst it is certainly a good idea to tackle how much sugar we all eat and drink, as Jamie showed the dental and general health implications could be huge. This in turn could reduce the strain on the NHS and have wider reaching benefits. Whilst his campaign message is undoubtedly very well intended, I have a few questions on his approach. Firstly, would a 10p increase in drinks costing £2.45 in his restaurants really dissuade anyone from ordering a drink with added sugar, particularly when you consider other restaurants charge around £2.50 anyway? I realise this is just the start to his tax proposition however, other restaurants have appeared to be slow or reluctant to follow his lead, which is intriguing. Whilst he backed up his manifesto with the observed reduction in fizzy drink consumption in Mexico following a one peso drinks tax, can we really compare these very different nations and use the same the approach to very different social status and sugar intake problems? He hardly mentioned the early stage results of the Mexican findings, nor discussed the difficulties observed during the introduction of France’s soft drink tax, which showed a far lower level of impact over a longer period of time, and is a nation with a closer socio-economic structure to the UK. The final queries I have from Jamie’s sugar rush, were when Jamie outlined how much sugar we can easily consume in our diets (without even having fizzy drinks, desserts or sweets). When discussing a typical daily diet, Jamie found we could easily consume over five times the recommended level of sugar without a fizzy drink in sight, fundamentally questioning the point of focusing on a single food offering, rather than recommending balance and moderation. This got me thinking, if sugar is in a wide range of our foods and drinks already, what are the food and drinks industry doing to align with government recommendations? Are they doing anything to reduce sugar in their products already? The food and drinks industry aren’t just standing idly by and increasing the sugar levels in their products, many of them are constantly striving to reduce sugar contents right under our noses! Using a small step reduction approach, which takes a small amount of sugar out of the product so that consumers won’t notice, they then wait until everyone has adjusted to the new sweetness level and do it again. This method has been used on reducing salt and sugar in products for years, however it does take time. Larger scale jumps can lead to consumers noticing a large difference and rejecting of the product (even if claimed on the label), which can severely damage consumer enjoyment, the product and even perception of the brand too. All of these are heavy costs to the food and drinks industry, and they are determined to products that taste good and consumers will like. Alternatively, sweetening agents such as aspartame, sucralose and more recently stevia have also been included into products. These deliver sweetness without the diabetes and tooth decay issues associated with sugar, and are commonly used in diet drinks and as table top sweeteners. However, consumer perceptions of sweeteners are mixed, with some feeling these aren’t a natural source of sweetness and opting for sugar and honey alternatives, whilst others find these an option for low-calorie enjoyment of sweet products. Jamie’s sugar rush has highlighted a key debate in the production of our foods and drinks, and the need to strike a balance between great tasting products and healthy lifestyle. I’m sure this debate will continue for the foreseeable future, and maybe Jamie’s efforts will be a slow burning reminder for the food and drinks industry to keep sugar near the top of their priorities. Sugar is in the headlines again this week and battle lines are being drawn. Celebrity chef Jamie Oliver has launched an attack on sugar in a Channel 4 documentary to be shown later this week on UK TV, and the Food and Drink Federation has already hit back in defense. This couldn’t be more topical following the recent SACN guidelines aiming to reduce sugar consumption to 5g a day. Jamie Oliver and his team are aiming to introduce a tax on soft drinks with added sugar. 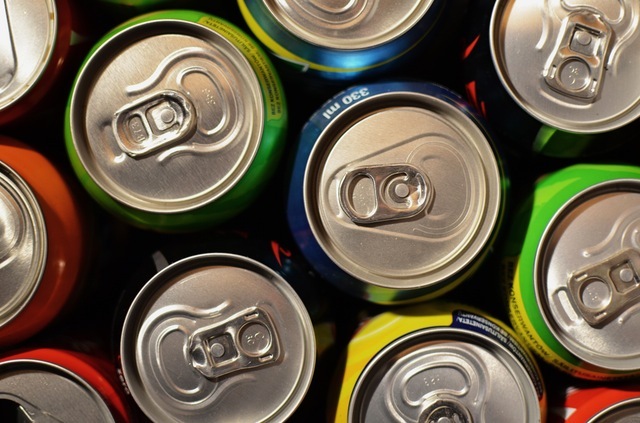 The sugary drinks tax would increase beverage costs by 20p per litre, which would add around 7p onto the cost of canned soft drinks. Soft drinks have been singled out in Jamie’s manifesto as he states they are the largest single source of sugar consumption for children, providing high calorie intakes and impacting dental health. Although a 20p per litre cost increase may not sound like much, the cost increase would be too large for manufacturers to absorb themselves and would therefore be passed directly on to consumers with the intention to reduce sugary drink consumption, increase overall public health, improve dental health and potentially reduce obesity levels. Other countries have already introduced this tax with varying degrees of success, including France, Hungary, and most recently Mexico where a 10% tax on sugar-sweetened beverages is projected to decrease consumption by around 12% and could substantially reduce the prevalence of obesity. 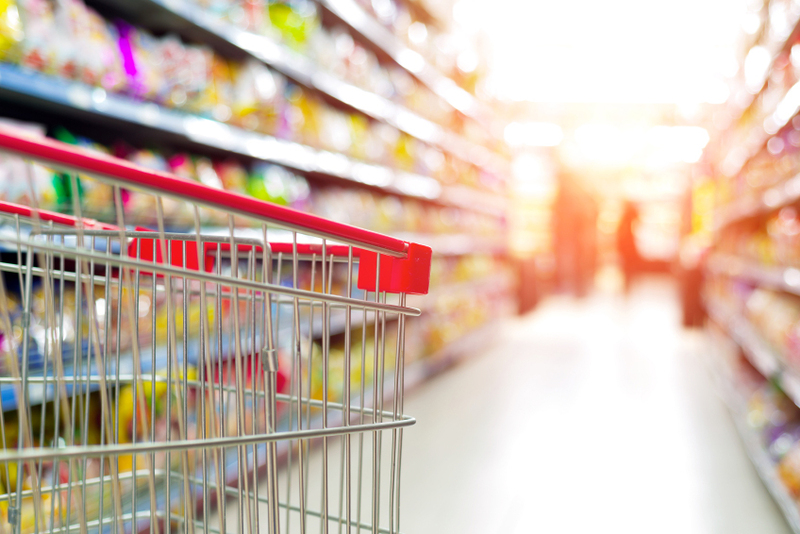 However the Food and Drink Federation has already hit back, stating sugar consumption in the UK is in decline, with increasing consumption of diet product offerings. 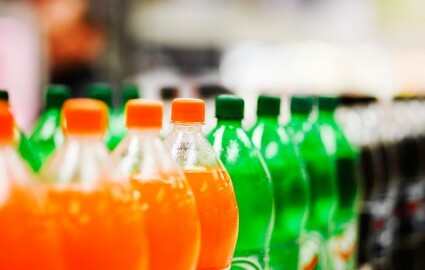 The regulatory body also insists that sugary soft drinks are not the largest source of calories consumed by children, with director general Ian Wright suggesting that government legislation of sugar consumption won’t work by “Demonising one nutrient out of a range on the national menu is not a healthy way to proceed.” Since many food and beverages are already taxed, the federation suggests any additional taxes would not be proven effective at driving long-term dietary changes, as found with the sugary drink tax in France showing initial decreases in consumption followed by normal patterns resuming. This debate got me thinking, how can we define what is a “sugary drink”? What about natural sugars? Plenty of products already state “No Added Sugar” on the label, would these be exempt from the sugar tax? Fruit juices can contain similar amounts of fructose as the levels of added sugar in soft drinks, would these need to be taxed even though the sugar isn’t “added”. With the ever increase demand for natural products, will including natural sources of sweetness such as fruit juices and honey be included in this tax too? Another thought is about the level of sugar in these drinks. Would a blanket price increase be introduced, as requested in Jamie’s manifesto, or would the level of tax be based on the amount of sugar in a product? Would providing sugar tax bands, or a sliding tax scale support the food and drinks industry to reduce sugar levels, and encourage consumers to make healthier choices? I look forward to this documentary to find out more details, answer these questions and really understand the options, opportunities and challenges facing us to reduce sugar in the UK population’s diet. The international sensory symposium of the year, Pangborn 2015 has come to an end, leaving sensory and consumer researchers with a lot to think about. I just wanted to share the highlights and three key themes of the conference here to get us all thinking about what the next two years may hold in product-based research. Global research – The whole world is conducting sensory and consumer science, and Pangborn 2015 really opened up the world to all the possible insights, from Australia to China, from the US to Thailand. Delegates learnt about the opportunities and challenges working across international markets and languages. Speedy sensory – Rapid techniques in product evaluation, such as Mapping, Sorting and Check-All-That Apply (CATA) were put under the microscope at Pangborn, both for general research, and for assessments with specific target consumers. As expected all rapid methods offer a trade off between speed, efficiency and the level of detail achieved. As presented by Tracey Hollowood, and something I’ve personally embraced in my own publications, are the opportunities offered by hierarchical sorting approaches to gain fantastic sensory differences and product insight efficiently, while offering the closest option to profiling. I’d be happy to share my thoughts and ideas on this as well as my paper for anyone interested! Controlled context – Sensory scientists are always seeking to control all factors of product assessment, from sample preparation and presentation to the surrounding environment and even lighting. However, more consumer researchers are interested in assessing products within the context of where and when they would typically be used. This is particularly interesting for consumer Central Location Testing (CLT) to determine whether a product fits the context and environment that it would usually be used in. 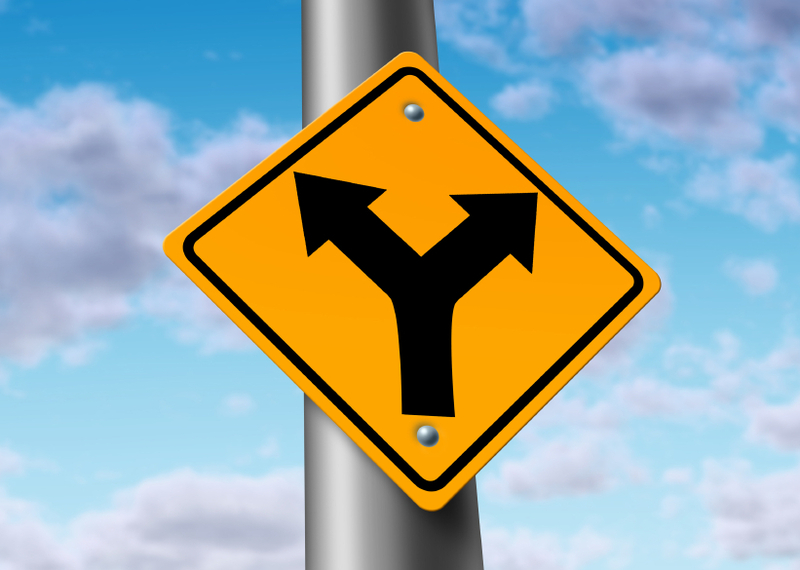 Therefore finding the ideal trade off between controlled, strict and accurate product testing, to more ‘in-the-moment’ assessments in context is still heavily under debate. As expected, Pangborn 2015 was a fantastic mix of current research developments, intriguing novel applications for testing techniques as well as branching into newer unchartered territories of mobile apps, global consumer understanding and more implicit methodologies. 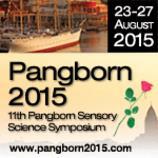 Sunday is the start of Pangborn 2015, a key conference in the diary of Sensory Scientists across the world! This year the Swedish Institute of Food and Biotechnology are hosting the five day event, bringing together sensory and consumer researchers, businesses and academic institutes from across the globe. I’m very excited to be attending a few days of Pangborn this year, as the 2015 conference is focussing on a wide range of topic areas from fundamental sensory research to more broad scoping global approaches. The cross-cultural context is particularly interesting as more and more global businesses are looking to develop products for different consumers and markets. When I’m not on the MMR stand, I look forward to learning from speakers and poster presentations across a wide range of fields, although some have particularly piqued my interest. I’m fascinated by sensory-driven product design to make better products for consumers, as well as learning about current innovations and advances in sensory and consumer methodologies to develop the best ways to test products, and this can help us all learn new and interesting approaches. I’m eager to hear from leading experts in sensory and consumer science, and following my recent blog on fat perception, a keynote presentation from Professor Richard Mattes is high on my list! As is the role of media in consumer and sensory testing to be discussed by Dr Dag Piper, which sounds very interesting and particularly relevant in today’s media centric society. I’m sure the vast array of talks and posters will give all of us delegates and researchers a lot of food for thought! Pangborn is a fantastic opportunity to learn, swap ideas, meet new people and build steps for innovation. My friends and I were reminiscing about some of our favourite childhood foods and drinks this weekend. Everything from foam bananas to panda cola we put the FMCG world to rights. Which got me thinking, some products and brands have really survived the test of time, either by tapping into the traditional and familiar or evolving and adapting with the times. However in terms of products this is less easy than it seems. Changes in commodity prices, manufacturing technology enhancements even government legislation can all impact the products we see on the shelves, and the developers need to constantly manage and cope with these ever changing demands without alienating the people who love their products. This often means continual small product changes, which are monitored and checked by sensory panels and consumers to ensure the difference isn’t noticed. Discrimination testing, like triangle, duo-trio and more recently tetrad tests are all suitable for checking these differences to give product developers the most confidence possible when launching these adjusted version to market. However, there is still a risk, and with the rise in social media, the consumer voice is stronger than ever. 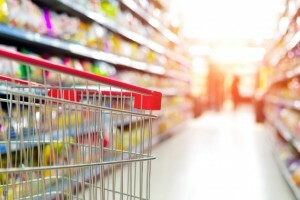 Whilst sites like Twitter and Facebook has allowed product manufacturers to communicate more directly with consumers, consumers can also talk back. This can highlight, emphasise and even magnify smaller product tweaks, and lead to scandals on the larger changes. Whilst previously product changes might be published in newspapers and even discussed on TV, the ever increasing world of social media can allow consumers to voice their anger and frustrations to the world, and the manufacturers themselves. This places more responsibility on product developers to communicate changes to consumers, which may not be ideal to the overall acceptance of the product and could even damage the brand. Whilst products will always change overtime, a fine balance must be struck by developers to ensure consumers continue to trust and enjoy their offerings. 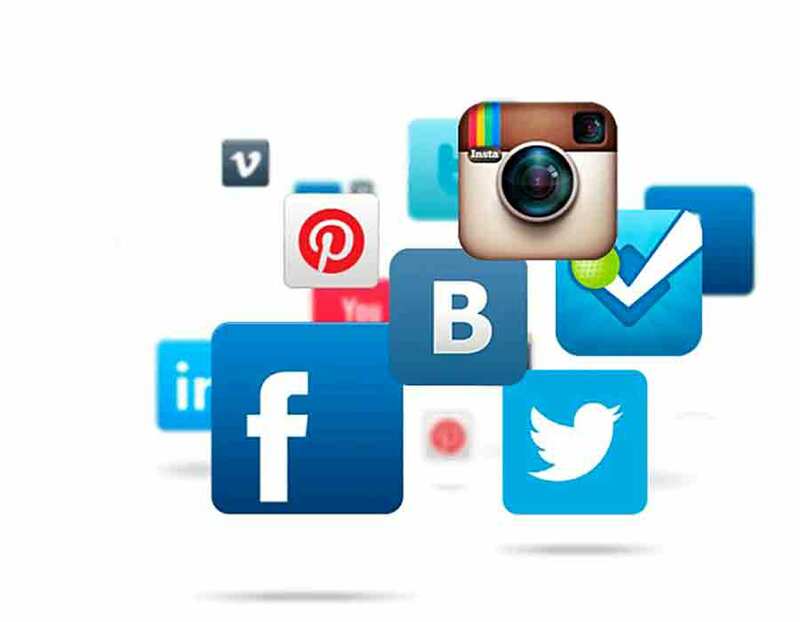 Social media can play a fantastic role in connecting brands and consumers more directly, however this can lead to more challenges in future for developers that are keen to stay up to date and evolve.